With the evolution of the wireless network technology, more and more network providers are trying to upgrade their LTE network to LTE cat6 advanced, so more and more users demand LTE terminals to support the latest LTE advanced networks. Even though, very few user equipments can meet the demand. 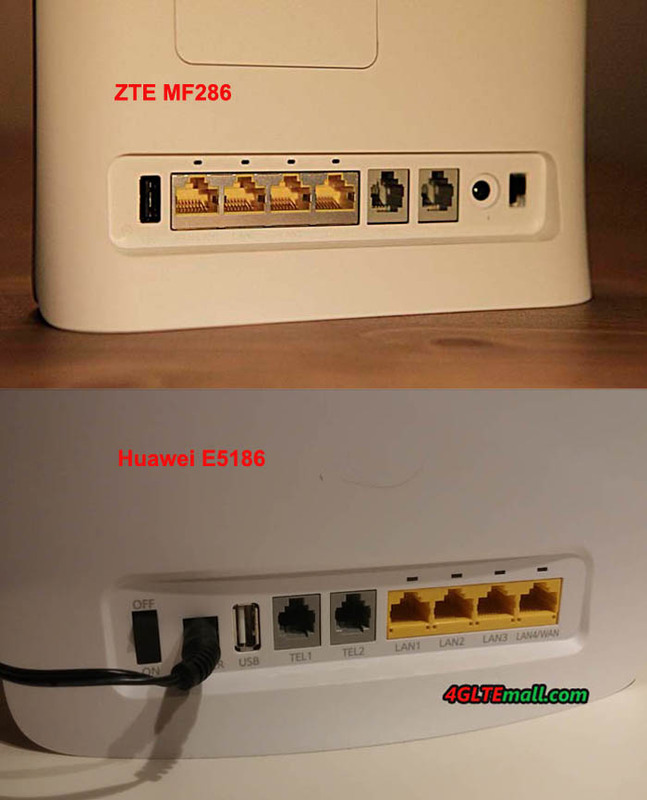 We had introduced the world’s the fist LTE Category 6 router Huawei E5186, now we get the new LTE Cat6 gateway ZTE MF286. As ZTE’s first LTE Category 6 router, the MF286 has many functions, even the appearance/interfaces design similar to LTE CPE E5186, but it also many special features. 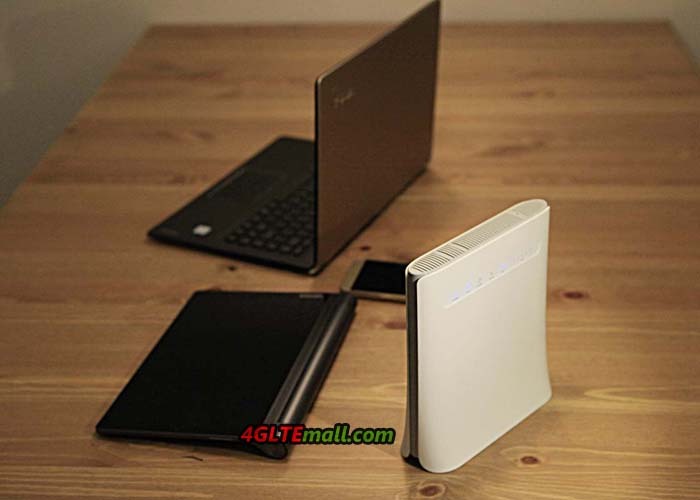 Today, we will have a check the difference between the two 4G LTE Routers. 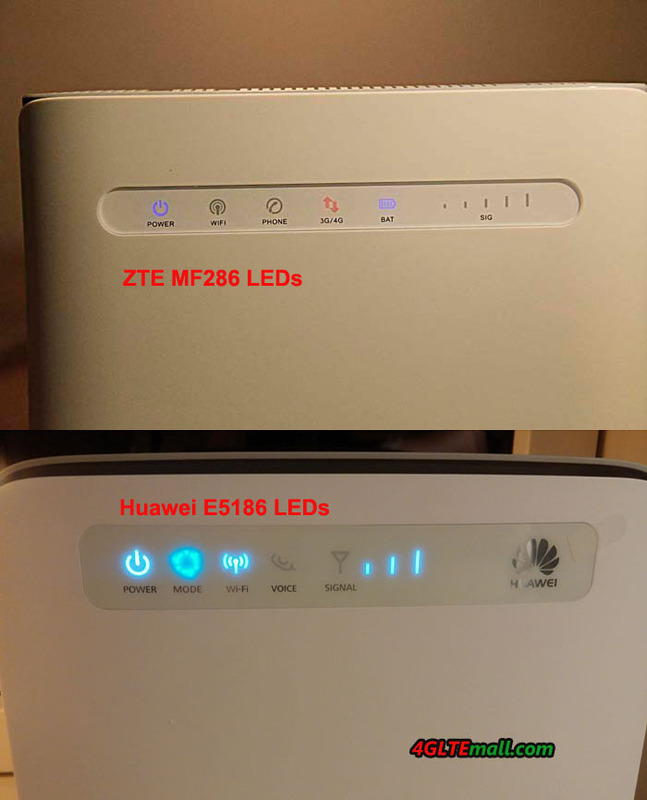 The ZTE MF286 and Huawei E5186 both looks like a common stationary wireless home router, front indicators to show wireless connection status (Power, Wifi, Phone, 3G/4G, Battery, Signal), side gridding design to heat radiating, and interfaces (4 x RJ45 ports for WAN/LAN, 2 x RJ11 ports for VoLTE and telephone, 1 x USB port for storage and power adapter plug). And there are two connectors for external antenna in the two routers but the connectors are covered by a small cap in case dust and water. And the WPS button and reset hole line together. 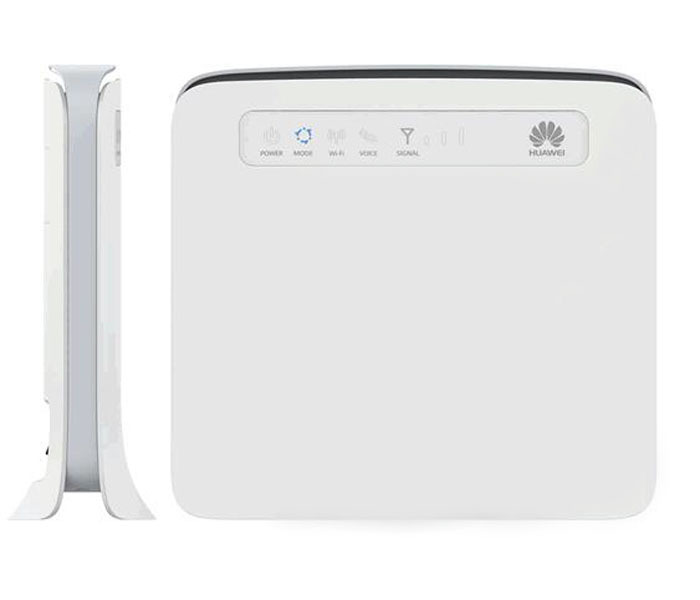 Of course, there is one SIM card slot in the two routers. The two routers can work well with FDD & TDD LTE networks. As wireless gateways for LTE Cat6, they both could achieve download speed to 300mbps and upload speed to 50mbps on LTE FDD networks. And the download speed could reach 112Mbps on TD-LTE networks. If LTE network is not available, they can automatically switch to 3G UMTS/WCDMA network or 2G GSM networks. And the peak download speed on 3G network is 42Mbps. There is no battery in Huawei E5186, it can only work when connect to power adapter. However, the ZTE MF286 has built-in battery with 3000mAh capacity, which can support a conference call for up to 4 hours. If you like the two LTE Cat6 routers, welcome to check www.4gltemall.com .